Learn How To Spot Fake News On The Internet! Home > Blog > Learn How To Spot Fake News On The Internet! Since the inception of the internet, most people rely on getting information and news online which has proven to be very convenient. 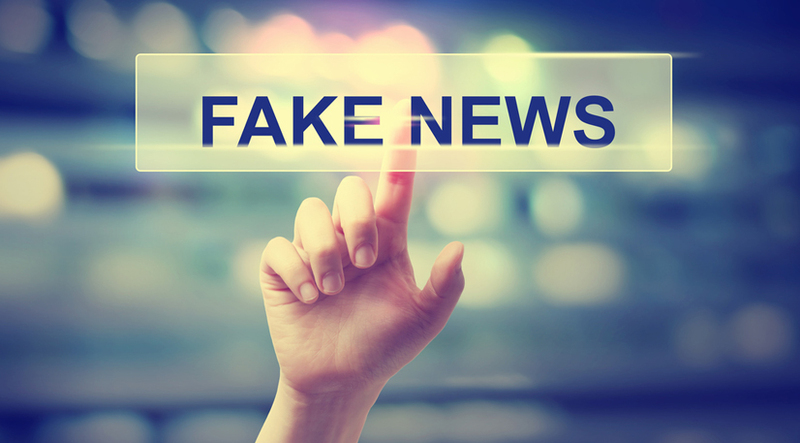 However, there has been a rise of fake news websites on the Internet where particular groups of people use fake news to increase traffic on their websites. It is unfortunate that a worrying number people are gullible and end up believing whatever is posted on those sites. This can bring about adverse effects, both emotionally and physically. Before reading a publication on the internet, you need to check out the publisher to verify the credibility of their source of information. New publishers are coming up every now and then, and they may publish stories and news that are inaccurate just to get people’s attention. You are recommended to read posts of established publishing firms that have gained the trust of the population over the years. Reputable publishing companies make sure that they have reliable sources to back up their stories and they make sure they quote these sources. A quick scan through a headline will immediately tell you whether the content of the story is plausible or not. You can tell a news post is fake if you come across headlines like “A 9 Year Old Discovers Cure for Cancer.” Such headlines should not be taken seriously and you should not even attempt to open the link. Hackers are known to exploit such websites and steal personal information. This can lead to identity theft and people have been known to fall victim to hacking through such sites. To get accurate news, you should not rely on only one site for information. If there are any trending news on the internet, check if other reputable sites are carrying the same news and compare the facts to confirm if the news articles are authentic. To check if a story is legitimate or not, consider googling some of the keywords found within the content to check if other top news sites are featuring it as well. If you open a link and find that the website has an odd domain name, this should be a clear indication that the news featured here is probably fake. Avoid opening websites with odd domain names at all costs. Reputable news sites have their own URL that most people are familiar with. You should also check for any misspellings in the domain name. One sure-fire way to stop fake news sites from showing up on your search is by implementing a proxy configuration to filter out fake news websites. Find a reputable company that will provide dedicated proxies to get fake news filter today.